Felix Alexander (1976-Present) is a Mexican-born, American-raised novelist, and poet of Mexican and Puerto Rican descent. 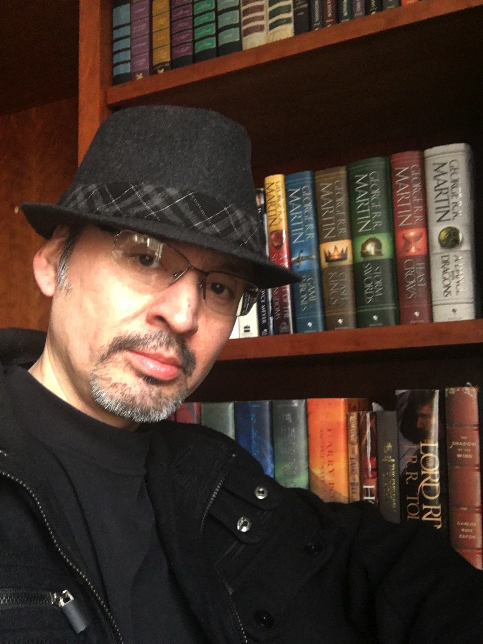 Acclaimed by readers for his poetic prose, his indie releases include: Dear Love: Diary of a Man's Desire, a collection of love letters and poems; The Romantic: A Love Story; and most recently an epic historical fantasy Shadows of Time: The Amulet of Alamin along with a mystery-thriller The Secret of Heaven. Being third-generation military, after a grandfather and uncle who served in the Korean War and Vietnam War, respectively, Alexander is proud of his service in the U.S. Army, and grateful for his experience. After his honorable discharge from the U.S. Army, he embarked on the long and arduous journey of a writer. Having made a name for himself during his tenure, serving his country, he vowed to himself and his fellow soldiers that he would answer his true calling. When not spending time with his children, a son and daughter, he journeys through the portals in his extensive, personal library. When he returns, he immerses himself in his writing, and pursues the scent of his muse. An interesting premise, but also incredibly sad and thought provoking. ~Writer's Digest "Beautiful, visual, and sensual." ~J.R. Biery The Romantic is a love story about friendship, passion, and the echo of unrequited love. 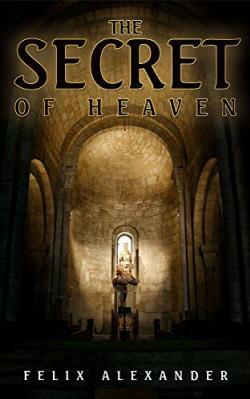 Hadriel Alighieri has harbored a secret love in his heart for his entire life. It began in his youth, when he fell in love with his best friend, Sophia Paula. After Sophia leaves for America and is later betrothed to Joshua Abrams, Hadriel is devastated, but he is a hopeless romantic. In the winter of his life he is haunted by the memory of Sophia Paula. When the Angel of Death comes for Hadriel, the journey begins. From his deathbed, he travels to the day he fell in love. He retraces the steps of his life in search of his unrequited love. For she too harbors a secret love in her heart. But what begins as a journey to fulfill a promise turns into a discovery of the only emotion that defines our lives. Did she wait for him? 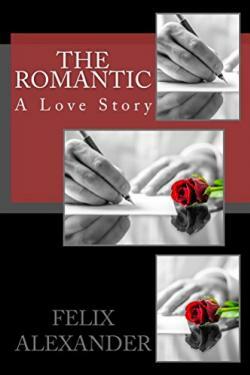 The Romantic is an intelligent, poignant novel about romantic love, missed chances, and a life lived in search of the happiness that comes from finding one’s other half. Hadriel Alighieri is struck by Sophia Paula’s beauty the moment he sees her—though he’s only twelve years old, it’s love at first sight. When Sophia’s father asks Hadriel to teach Sophia to play the piano, Hadriel jumps at the chance, and over the next six years the two become best friends. Hadriel harbors his deeper feelings until the time for his mandatory military service comes, but his profession of love doesn’t go how he hopes—and as the years pass, both Sophia and Hadriel search for love with others, but never find it in as true a form as they had for each other…. I liked how the novel begins with Hadriel looking back over his life, in the presence of the angel of death; it gives the book an immediate touch of sorrow and heartbreak, as well as some mystery. The reader wonders just what happened to Hadriel and Sophia, and will find out as the story weaves on. I also liked how the author slowly begins to introduce Sophia’s perspective, so that she becomes not just Hadriel’s love object, but a fully developed character in her own right, with her own regrets. And for me, there’s just as much sorrow in Hadriel’s relationship with Celeste—both he and Celeste have pasts too colored by their first loves to truly move forward. The plot moves slowly but beautifully, in large part due to the author’s descriptive, lyrical writing style—lines like Hadriel being “the ghost of her [Sophia’s] heart” are lovely and bear repeat reads. I’d recommend The Romantic to readers who like novels that deal with the complex themes of love, life, and how the choices we make reverberate through both. ~Kelsi Grace, Vantage Point Book Reviews Use Amazon's "Look Inside" feature and begin reading The Romantic today! The veil between the heavens and the underworld has fallen. Mesopotamia is a region with kingdoms at war. The desires of gods and men sweep across the Land Between the Two Rivers so frequently that peace is merely a memory of a forgotten time. Demons and shape shifters lurk in the shadows, sorcerers and soothsayers warn of impending danger, and a demigod sits in the eye of the storm. It has been millennia since the Tablet of Destinies fell from heaven. After the fall of angels and the emergence of the Watchers, the gods set out to destroy the Nephilim and retrieve the Tablet, but a piece of the stone chipped away before it was lost. Fashioned from that piece of the Tablet, an amulet was gifted to Alamin in his infancy, but when he discovers the gods and angels want him dead he is forced to flee with it and only the Fallen Angel can protect him. 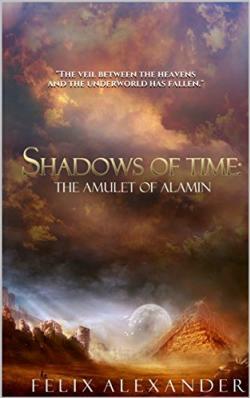 Princess Safia is betrothed against her wishes and she flees with Alamin on a perilous quest across the Ancient World that blurs the boundaries of reality with the realm of myth until Alamin surrenders to the Fallen Angel. Troubled by the prophecy, Inanna crosses oceans and deserts to find her son before she journeys into the underworld to retrieve his soul. The King of Kish names Sargon—the boy general—his Cup Bearer. Zagesi condemns his soul for immortality, but his deal with Mephitsophel is an ominous portent for the fall of kings. The fate of existence hangs perilously in the balance and the realm between the heavens and the underworld collapses into chaos. What if a man loved a woman with such passion that even if she left him, he would still love her with his broken heart? From the shadows of unrequited love, and an unlikely romance, rises the intense flame of a passionate profession of undying love, a romantic's musings. 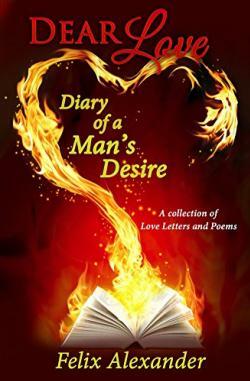 Dear Love:Diary of a Man's Desire is a collection of love letters and poems written to inspire & stir the emotions of the soul. "I fear that one day I'll lose a tear in the ocean -the day you find love with another- and like that tear, I'll never get to have you back."